Whilst more and more restaurants and cafes are catering for special diets, eating out can still be a "hit and miss" affair when you don't eat meat, eggs or dairy. So it's a real treat when the majority of dishes on the menu are plant based and there's even a choice of dishes to deliberate over! This year Eric and I came across three such places on our travels and I can recommend them all. For me, it's a luxury to be served exciting, appetising dishes created by talented chefs and to enjoy them safe in the knowledge that they are totally animal free. There's no doubt that being vegan and eating a plant based diet is becoming trendier each year. When you see queues of people waiting for a table, you know the menu and more importantly the food is going to be good. These vegan restaurants can be a huge inspiration to us home cooks and offer proof that it's possible to eat well whatever diet you choose to eat. The days of being offered a very basic fruit salad for dessert are hopefully long gone! Making your own dairy free dishes at home is hugely satisfying and simple too! We made the Almond Tartlets pictured above on my last cookery course in August. 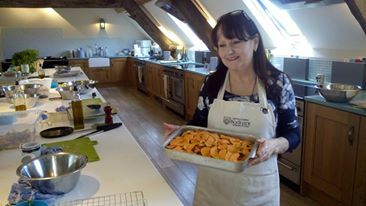 My next course at Bodnant Cookery School is in just a few weeks so I have been preparing some equally fabulous recipes! If you think eating dairy free and egg free means missing out on luscious, creamy desserts and deliciously light cakes and pastries, this course will hopefully convince you otherwise and show that you can have your cake and eat it .... and look after your health too! "Deliciously Dairy Free" is on Saturday, 21 November 2015. The day starts at 10.45am with a welcome drink and ends at 4pm when you will pack up and take home all your dishes! It costs £95 and includes all your ingredients and lunch. You can find all the details on the Bodnant website here. See you at Bodnant on the 21st! If you could eat the healthiest meal, what would it be? A bowl of green gazpacho, a freshly made salad with organic leaves picked from your garden, a fat-free Portobello mushroom burger, a fruit filled sugar-free dessert? I'm sure each one of us would come up with a different dish - and why not? The options are endless and eating well has never been easier or more exciting! I'm particularly thrilled to see so many young people these days getting interested in naturally healthy foods. With so many bright, talented food writers and bloggers spreading the word and offering inspiration and encouragement, there has never been a better time to eat healthily. At last, taking care of our bodies is trendy! Gone are the days when we were considered cranky odd bods who ate nut roasts and lived on salad leaves! With more and more people diagnosed with food intolerances and allergies too, interest in foods free from dairy, gluten and sugar is at an all time high. The good news is that whatever your reason for trying these foods, your body is likely to benefit in all sorts of ways. You may feel lighter or have more energy, your digestion may improve, you may even sleep better or feel more relaxed but I can guarantee you will feel better! On all the courses I have taught at Bodnant, it's sitting around the big wooden table together for lunch that has been a real highlight for me. It's here that people relax after a busy morning in the kitchen and discover shared interests, new tastes and different flavours. Eating a meal of purely plant-based foods for the first time can be a revelation. People are often surprised how filling the dishes are and how deeply satisfying it is to make your own food from scratch, using simple fresh ingredients. 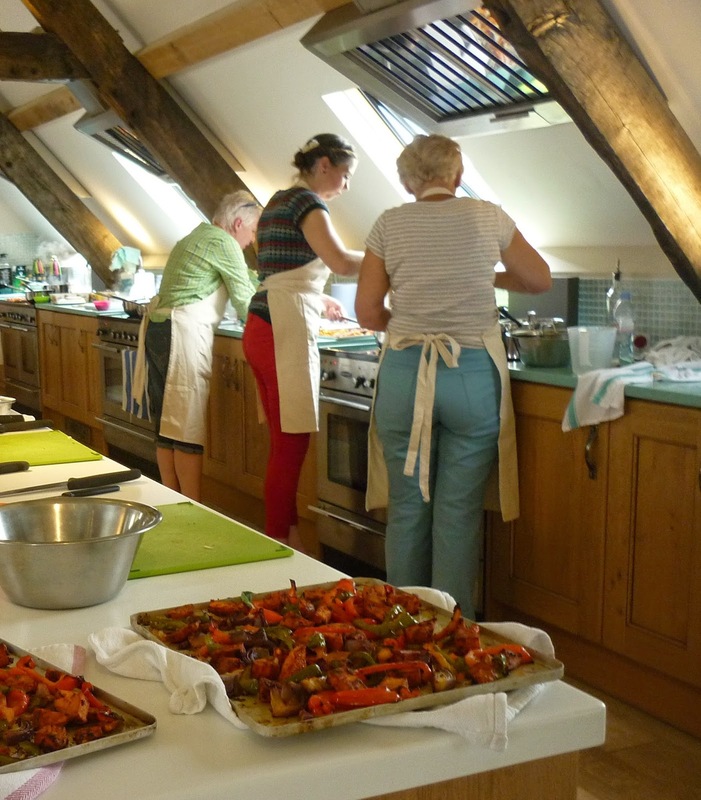 Once again this year, I'll be running a one-day course at Bodnant Cookery School called "Health on a Plate." With a set of brand new recipes I've developed specially for this year's course, it will be a full day focusing on the best of healthy eating. As always, the day will be practical and very hands-on. You will be cooking and preparing food all day and receive lots of help and advice, plus you will have some wonderful food to take home too! The course is on Sunday, 16th August from 11am to 4pm. I do hope you'll be able to come and you will find all the details on the Bodnant website. Here are some more of the photos from my last course in April. Inspiration to Eat Well ..... permanently! I love eating good food especially when it's as tempting as these little dairy free cheesecakes! Yes they taste just as good as they look and the good news is they are completely free from gluten and refined sugar too. I've put together the recipe for my next course at Bodnant and I know we'll have lots of fun making them on the day. I've even got some individual containers ready so everyone can take theirs home to share with family and friends! "Lighten Up for Summer" is on Sunday 26th April from 10.30am to 4pm and will be an inspiring day for anyone wishing to eat well ... permanently! If you've ever wished you could put an end to cravings for unhealthy foods and would love to start making your own fabulously tasty meals from scratch, this is for you! Eating well has everything to do with good ingredients and, for the course, there will be a colourful range of fresh produce waiting for us to transform into deliciously light and healthy dishes including my low fat, high flavour version of the classic Mallorcan dish, Tumbet. We'll also be making a Mediterranean inspired pasta dish that can be eaten hot or cold and a wonderfully fresh tasting Courgette and Fennel Salad with an amazing creamy dressing! All your ingredients and lunch are included so all you have to do is arrive .... hungry! 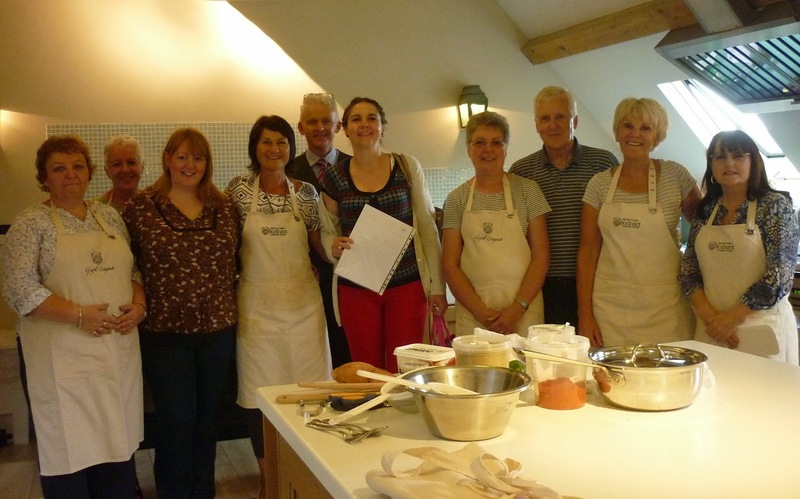 If you would like to join us at Bodnant Cookery School on Sunday 26th April, there are still a few places left. Contact Bodnant on 01492 651100 or visit the website by clicking here. 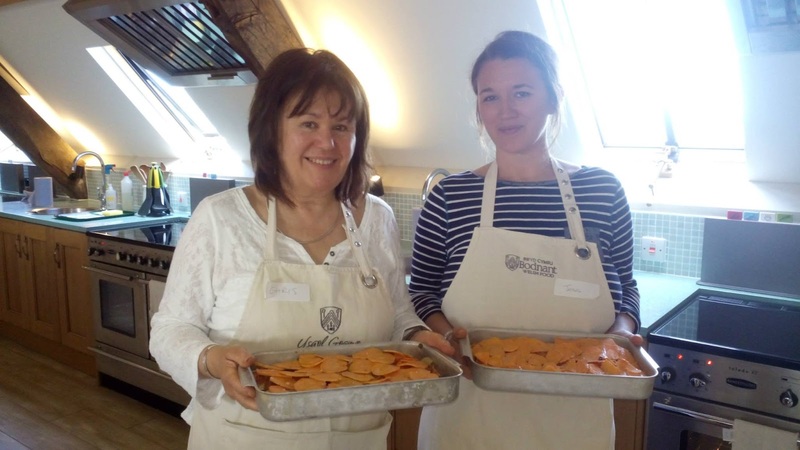 On Sunday 26th April, I'll be at Bodnant Cookery School running a course called "Lighten Up for Summer." 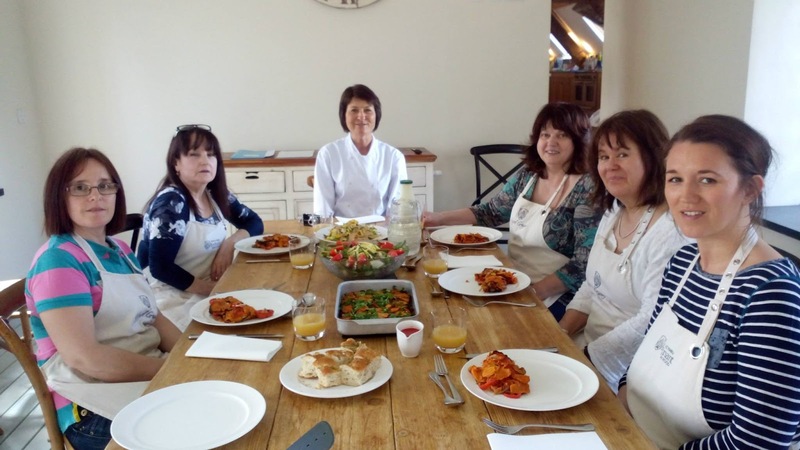 Last year's course was a popular one and, once again, I'm looking forward to creating dishes that are designed to make us feel brighter and lighter for summer. Recently I've been working on a brand new batch of exciting recipes with exactly that in mind. Most people know that what we eat and drink can directly impact our body. Too many processed foods, saturated fats, sugar and alcohol can leave us feeling bloated, heavy and lethargic - hardly the way we want feel in the midst of summer! So now's the time to give our body all the good things to make us look and feel amazing when the warmer weather arrives. I gave up eating meat and animal products a long time ago - thirty five years to be exact - and have never regretted my decision. I've had plenty of time to learn how to make meals that are both healthy and delicious AND reap the benefit. Thankfully it's much easier these days to enjoy a healthier, more plant-based diet - without being considered the least bit cranky either. In fact, it's actually quite trendy to eat this way now! Just recently, Ella Woodward's first book, Deliciously Ella, became the fastest selling debut cookbook in the UK and it's completely free from meat, eggs, dairy and refined sugar! The story of how she overcame a serious illness that kept her bedridden by simply changing her diet is inspiring and exciting and gives hope to anyone struggling to cope in similar circumstances. She admits that before her life-changing decision, she wasn't a cook, rarely ate any fresh fruit or vegetables and was a total sugar addict! 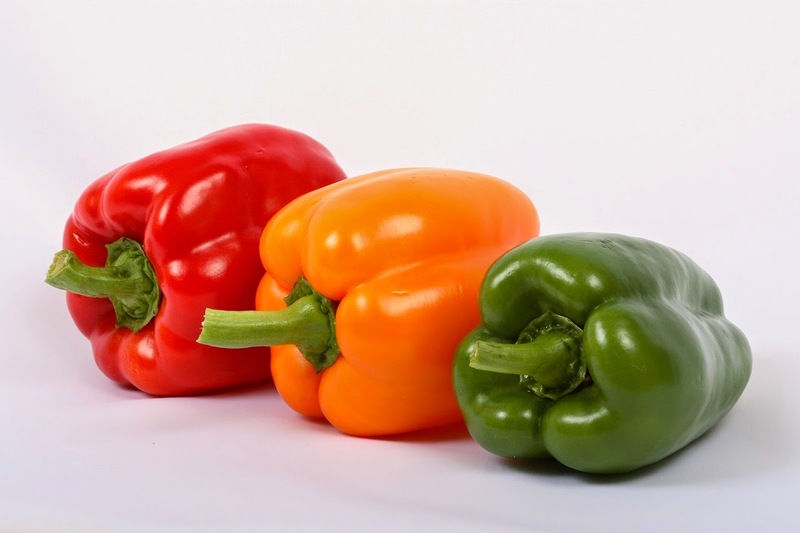 Ella is a wonderful advertisement for healthy eating and absolutely glows with vitality. 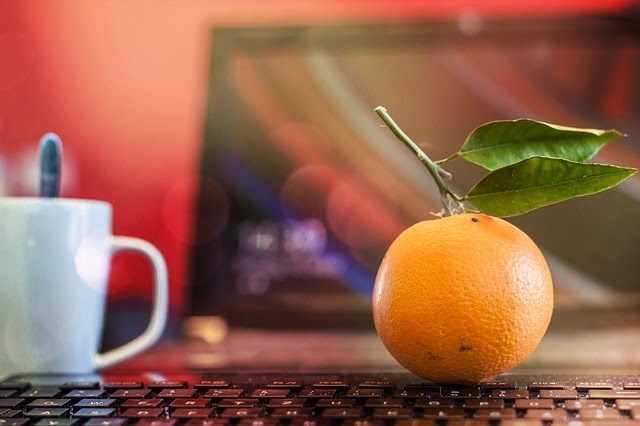 But we don't have to be ill, unfit or overweight to make healthy changes to our diet though sometimes this can give us just the incentive we need. Everyone can look and feel better when they decide to eat their way to good health and vitality! With the days growing longer and sunnier, now is the perfect time to start planning a healthier diet and lifestyle to take you into summer. Even doing just one thing differently today can make all the difference to your well-being this summer, whether it's going for a weekly swim at your local pool, taking the dog for a longer walk (which I'm sure he'll love!) or, better still, trying out a new recipe! Having like-minded people around you can make such a difference when you're starting something new. 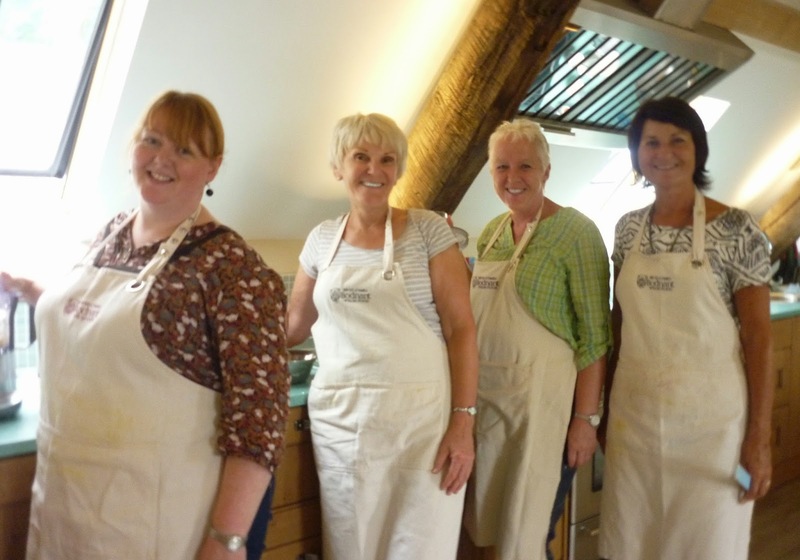 I've been delighted to meet the lovely people who come along to my cookery days. For some, it's their first time. For others it's their second or third time! And everyone says how much fun it is, cooking together, learning new skills, being introduced to different ingredients and flavours and chatting with each over over lunch in the amazing dining room that overlooks the Conwy Valley. I've been thrilled at the growing interest in my "Simple and Natural" courses. The last one in January was sold out two weeks before the actual day so, if you are thinking of coming in April, don't leave it too late to book. Numbers are strictly limited to 12 people and quite a few places have already been taken. A little while ago, Bodnant asked me to appear in a short video to promote my cookery courses. It was my first attempt at a cookery video so I was naturally a bit apprehensive! However it turned out to be lots of fun and was all done in one take! The brief for the video was to demonstrate how to make a simple dish in just three minutes! I chose one of my favourite tried and tested recipes - a Moroccan inspired salad that is super quick and easy with very few ingredients. It's really delicious, flavoured with wonderful spices, and full of natural goodness. Do have a go at making it - you will find the recipe below. The series of one day workshops I teach at Bodnant are called "Simple and Natural." The next one is Lighten Up for Summer on Sunday 26th April 2015 when we'll be preparing some brand new recipes that I've been developing, all completely free from meat, dairy, eggs and refined sugar, and full of fresh, flavourful ingredients - guaranteed to leave you feeling lighter and brighter! More details to follow in my next post. Toast the cashews by spreading them out on a large baking tray. Heat your grill to it's highest setting, then place the tray on a high shelf. They don't take long to brown so keep an eye on them and turn once or twice. Make the dressing. Finely grate about a tsp orange zest and place in a large bowl. Then using a sharp knife, remove the peel from the orange and cut into segments removing the membrane. Squeeze the juice from any remaining membrane into the bowl containing the zest. Slice large orange segments in two lengthways and set aside whilst you add the olive oil, ground cumin, cinnamon and seasoning to the dressing. Mix until well blended. Coarsely grate the carrots straight into the dressing, add the chopped dates and toss together to mix. Scatter the cashews over the top and, if you have some handy, a few coriander leaves too. Serve immediately or refrigerate for up to 4 days. *If using organic carrots, there’s no need to peel them. With the Christmas festivities fast approaching, I just wanted to tell you about the Cookery Workshops I have planned for 2015! Altogether I'll be teaching four courses at Bodnant over the next twelve months in a Series called "Simple and Natural" starting in January with the popular New Year Detox. Here are all the dates to put in your diary! 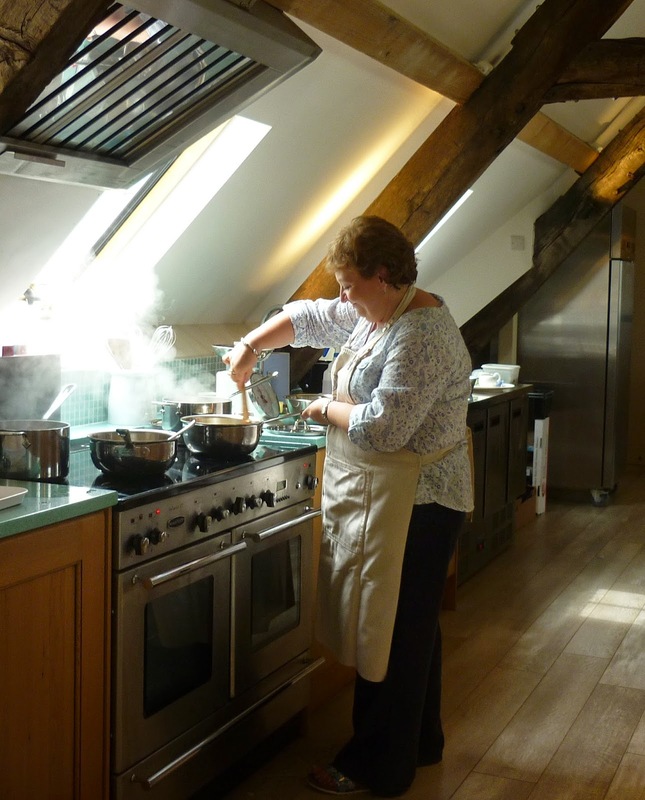 Each workshop will include a variety of appetising dishes which you will make alongside me in the spacious Cookery School. No experience is necessary so please don't feel you have to be a food expert. I'll be there to guide you all the way. I develop new recipes specially for my courses and they are always packed full of beautifully fresh ingredients. They are dishes the whole family will enjoy and are totally free from meat, dairy, eggs and refined sugar and are usually gluten free too. Each workshop starts at 11am (10.45am for a welcome drink!) and ends at 4pm when you'll leave laden with containers filled with all the dishes you've made. The price for the day is still the same too - £95 which includes lunch and all your ingredients. The first workshop in January is almost full (ten have booked so far) so if you are thinking of coming on the New Year Detox course, please don't leave it too long. It's a brilliant way to start the year and you'll meet other like-minded people who are keen to be healthy in 2015. Detoxing has been practiced for centuries by different cultures around the world as a way of de-cluttering and cleansing the body. 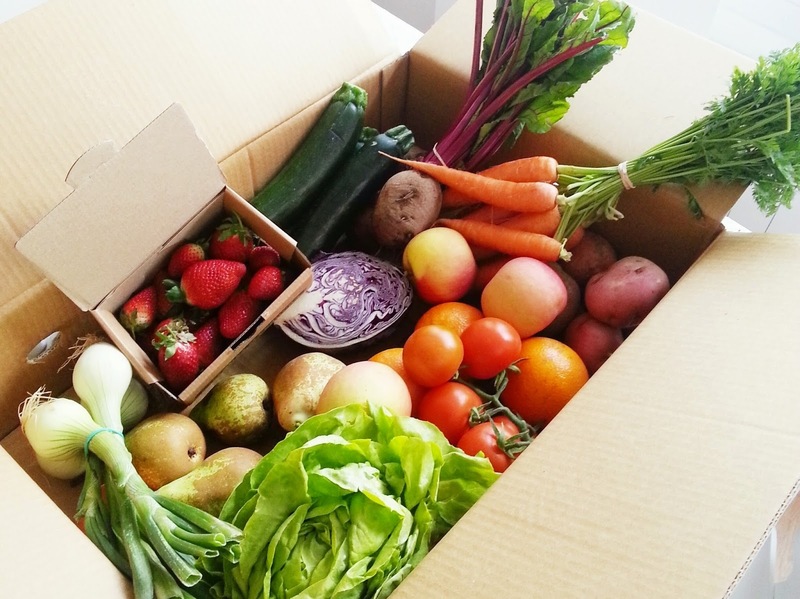 It can do wonders for the way you look and feel but it certainly doesn't mean going hungry! By incorporating detox-friendly foods into everyday living, you can revitalise your body naturally from the inside out. And the food is so delicious, you won't even realise you are eating the healthy option! If being fitter and healthier is important to you, imagine how you would look and feel in a few months if you chose to be more health conscious in 2015. It's really not that difficult. It can even be fun and I'd love to show you how! Hope to see you at Bodnant! If you have a busy lifestyle (and who doesn't these days!) then eating well throughout the day can be a real struggle. When you're always on the go, out at work or away from home, finding healthy meals and snacks to buy can be a nightmare. Even so-called healthy products often contain loads of sugar and very little in the way of natural goodness. If you don't eat meat, eggs or dairy like me, then it is often impossible. 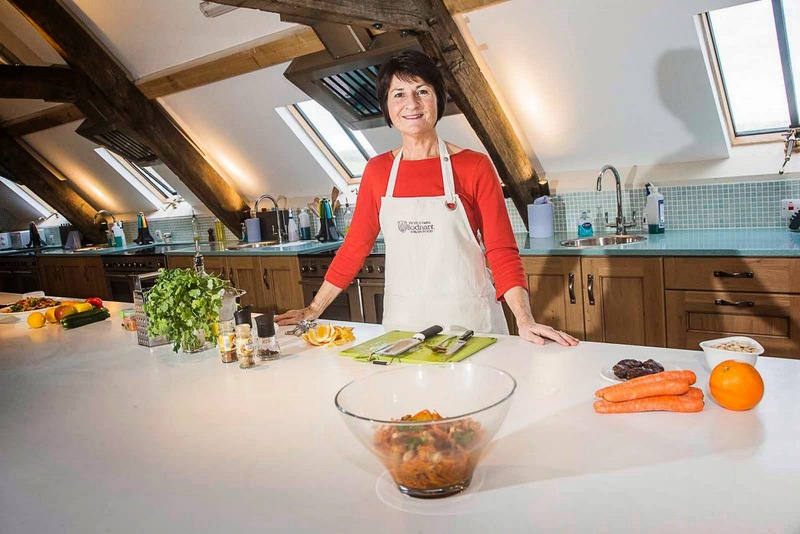 So I'm delighted to tell you my next course at Bodnant Cookery School on Sunday 14th September is "Healthy Eating on the Go". It's all about creating your own lunch box with healthy snacks and treats that are good for you and your body! With a little forward planning, it's possible to produce delicious food to enjoy at any time of the day and be something you'll look forward to tucking into! I've really enjoyed putting together the recipes for this course. Maybe it's because I've always loved picnics! There's something special about eating food out of doors in a lovely location so making up a packed lunch to take out on a walk is pretty normal for me. I certainly don't want to spend hours in the kitchen though so I've got plenty of tips on making things quick and easy - and fun to make! For me, the most important thing is to use fresh, natural ingredients that my body thrives on but that certainly doesn't mean living on fruit and a salad! I'll be showing you some completely new ideas I've been working on as well as some of my favourite recipes that are visually appetising, deliciously energising yet require minimal preparation. Wherever you spend your day, I hope you'll never be tempted to buy an unhealthy snack again! If you feel inspired to come along, I'd love you to join me for this brand new course. You can book your place online at the Bodnant website or by ringing 01492 651100. The day starts at 11am (10.45am for a welcome drink!) and finishes at 4pm, costs £95 and, as with all my courses, you'll have lots of goodies to take home! The Cookery School at Bodnant Welsh Foods Centre is a fabulous place with superb facilities and amazing views along the Conwy Estuary. The courses are always lots of fun and friendly too with a small group and plenty of space to work and relax. We make all the recipes together so, however much or little experience you have, you'll be able to enjoy the day and hopefully go away with a new confidence and enthusiasm to eat healthily! Book online here or phone 01492 651100. Hope to meet you at Bodnant very soon!